Here are some ideas for things to do while you are here. For more suggestions click the link below to download our Family Activities pack. By tradition, the stones in the King’s Men stone circle cannot be counted: if you count them three times and get the same answer each go, you can have any wish you like! It is genuinely difficult as our school groups AND their teachers regularly discover….. The Rollright Stones have become highly valued by modern star-gazers through the enthusiastic support of the Chipping Norton Amateur Astronomy Group (CNAAG), who use the site as one of their regular observing venues — especially for public open days. 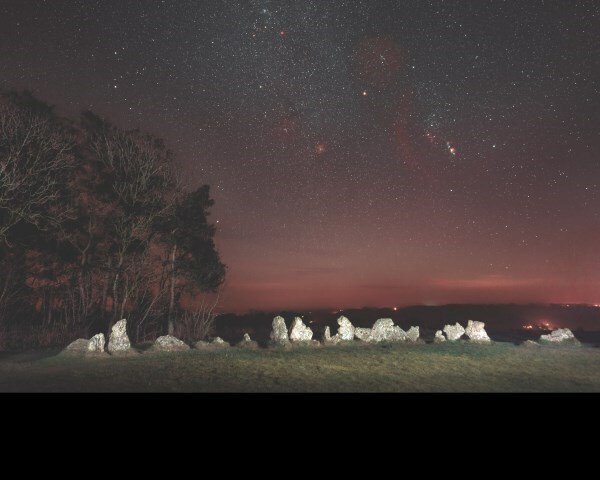 A Dark Sky Discovery Site since 2014, stargazing at the Stones regularly features on TV programmes such as Stargazing Live and The Sky at Night. Stargazers are welcome at any time. To get more involved contact Chipping Norton Amateur Astronomy Group who always welcome new members and visitors to the club. The basis of dowsing is not fully understood, but seems to be based on sensing places and things that have a geomagnetic/electric charge. Many people believe that places where stones were set up several thousand years ago were attractive (whether consciously or not) because of a very subtle geomagnetic/electric energy. As yet we do not have measuring devices sensitive enough to pick up such charges (if they are real) but it is believed that both animals and humans can feel such energy. For dowsers the best meter we have is ourselves – and anyone can have a go. 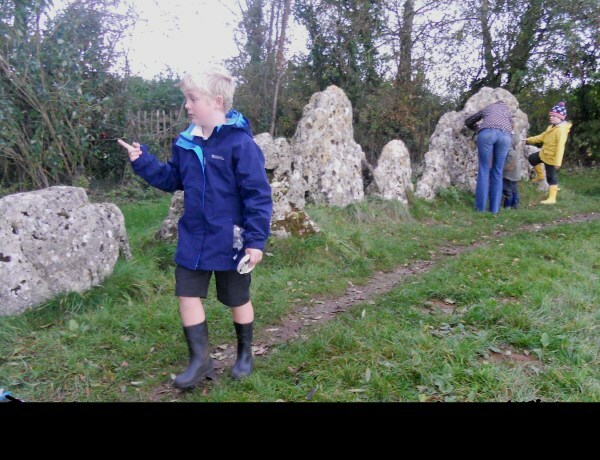 Using dowsing rods or the traditional forked hazel stick, many dowsers detect concentric rings of energy at the King's Men Stone Circle. 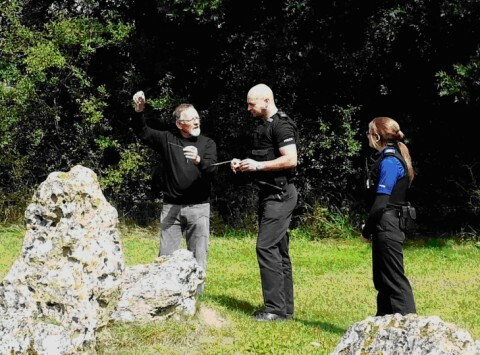 On some weekends and Bank Holiday Mondays every month between April and September, there are dowsing demonstrations and taster sessions at the Stones. For calendar of dowsing events and more information please contact us. 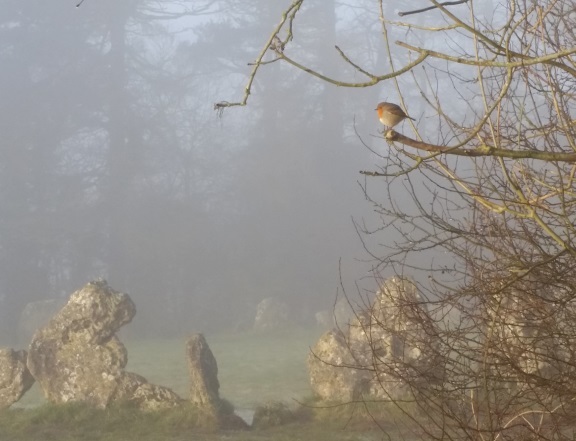 The Rollright Stones and their immediate environs are rich in plants, lichens and other wildlife. Although there are no major rarities, some species are quite uncommon. For hints on what to look out for, click the links at the bottom of the page to download the pdfs listing birds and plants recorded at the Rollright Stones.